Adam Scott won The Honda Classic and put to rest any notion that his career would suffer with a short putter. 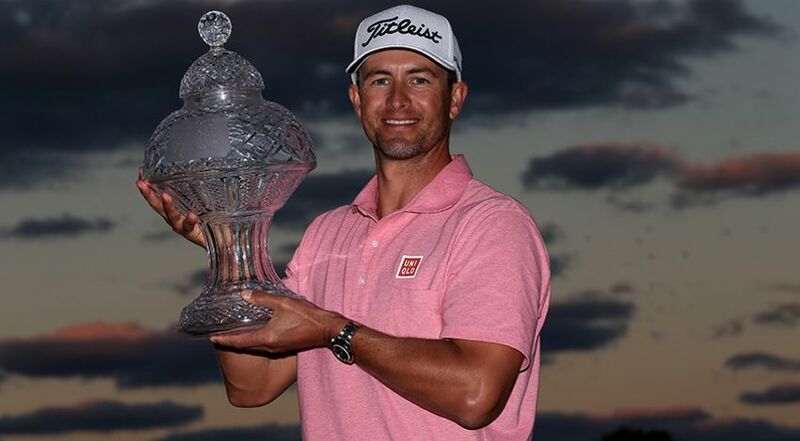 In a tight duel with Sergio Garcia for the entire round Sunday at PGA National, Scott stayed out of the water and closed with an even-par 70 for a one-shot victory. It was his first title since Colonial in May 2014, and his first time winning with a conventional putter since the 2010 Singapore Open. The timing of his victory also was a big statement for the 35-year-old Australian. Scott won in just his third start since a new rule took effect that bans the anchored stroke typically used for the long putter that he had the past five years. Scott switched back for good at The Presidents Cup. This was his 10th start since then, and only twice has he finished out of the top 10.